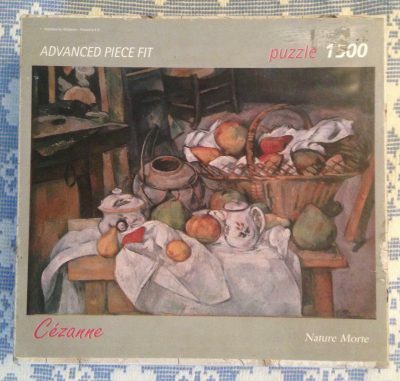 Ricordi manufactured this beautiful puzzle in 1998. The title is Rupe Rupe, by Paul Gauguin. The translation in English would be the Fruit Harvest. The puzzle is like NEW, with all the pieces SEALED inside the original plastic bag. The box is in excellent condition. There are many puzzles with paintings by Paul Gauguin. For example, Nathan published in 1992 a 2000 pieces version of The Pig Keeper in Brittany. Puzzle size: 58.8 x 83.6 cm. Box size: 37 x 27 x 5.3 cm.